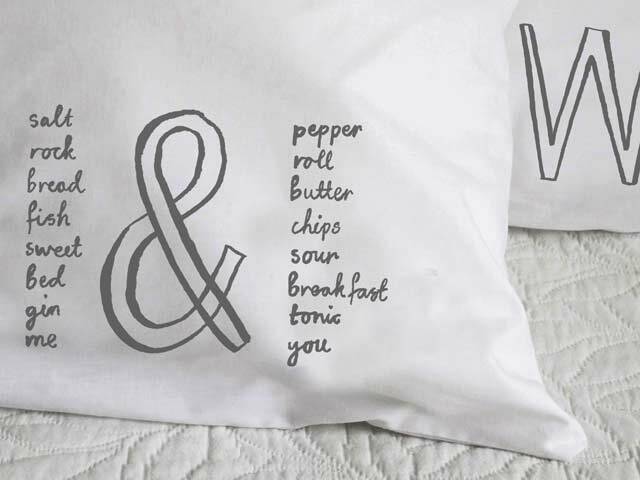 A beautiful printed pillowcase featuring a hand drawn love message in dark grey ink. Each pillowcase has a lovely message printed on the bottom right hand corner. These charming pillowcases by Karin Akesson are a great gift idea to show your loved one how much they mean to you. The love message on this printed pillowcase is ‘WE go together like bees and honey’. Pillowcases sold separately (not as a pair). Select 2 messages and mix and match too make a quirky set.